It’s every woman’s dream to have beautiful long nails which add beauty in their hands. But it is a bat that if you have longer nails, they must be healthy and strong. Hair and nails are cared alike as they both contain a protein named keratin. Toenails do not grow fast as compare to fingernails. 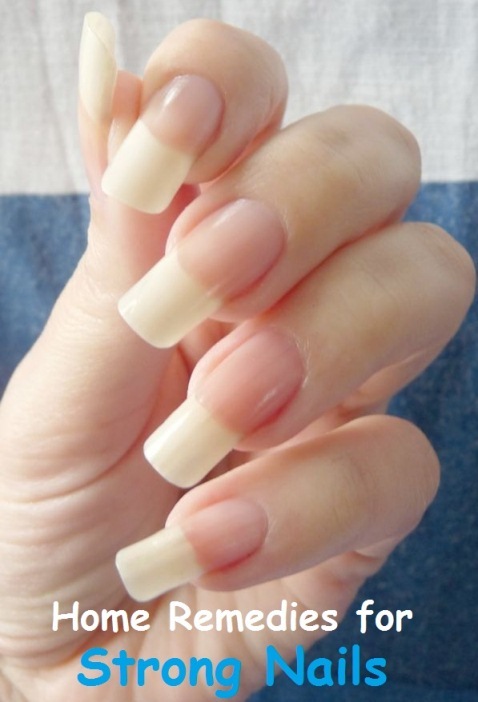 Fingernails grow about one-tenth of inch each month. But some people have slow growth. 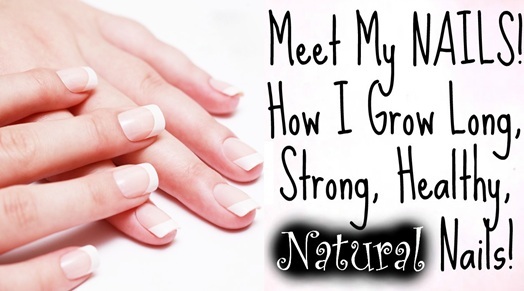 There are definitely some solid reasons behind slow growing nails like aging process, hormonal differences in body, health problems, medications, nutritional deficiencies, chemotherapy. If you see a new born baby, his nail growth will be much faster and it continues till his puberty, similarly in pregnant women. 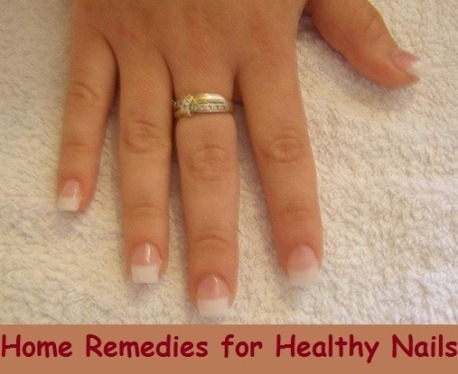 People with poor health or due to some other factors, can never have healthy nails. The results of nail growth will be opposite to their expectation such as brittle nails, splitting, breakage and other related issues. Nail should be well moisturized so it is necessary to apply olive oil to make it smooth and shinier. Olive oil penetrates deeply into the nails and skin and gives nourishment in which vitamin E is an essential substance comes from this oil where it helps in blood circulation, repairing of damaged nails and promotes nail growth. Take little amount of olive oil and slightly warm it. Apply on your nails and massage for 5 minutes, do this process before bed time. It is optional to wear gloves overnight. Another thing is soak your nails in the warm olive oil for 30 minutes. Do this for one time in a day. Coconut oil is also used in the replacement of olive oil. It contains essential nutrients necessary for the healthy nail growth. It keeps your nails well moisturized all the time, soft and strong. Other benefits of coconut oil are it helps in treating the hangnails, cuticle infections and fungal nails. Warm some amount of extra virgin coconut oil and massage it on your nails daily at night. You can also soak your nails in ¼ cup of organic coconut oil, mixed with ¼ cup of honey and 4 drops of rosemary essential oil. The mixture should be warm before applying to the nails for 20 seconds. Soak your nails in this solution and follow the process two times a week. Orange juice also plays an important role in nail growth. It contains vitamin C which promotes the collagen and keeps your nail strong. Folic acid is also present in orange juice. Squeeze the juice from fresh orange juice and soak your nails in it for 10 minutes. Rinse it off with warm water, pat dry then apply some moisturizing cream on nails. Follow this amazing and easy remedy until you become satisfied with the results. Lemon gives shiny effect to your nails. Vitamin C is present in lemon so it is essential for the nail growth. It reduces the yellowness of nails. In a mixing bowl, add 1 tbsp of lemon juice and 3 tbsp of olive oil. Warm this solution slightly then soak your nails for 10 minutes in it. Alternatively, pick up a slice of lemon and rub it on the nails for 5 minutes, rinse it off with warm water, dry and apply moisturizing cream. Do this remedy on daily basis. Horsetail is known to be effective for the nail growth proved by ancient Greek and Roman herbalists. Horsetail is a kind of herb that promotes the health of nails because it is rich in calcium, silica and other useful minerals. Take ¾ tsp of dried horsetail stems and add them to the 2 cups of boiling water. Cover the lid and allow it to boil for 15 minutes. Strain the solution and soak your nails in it for 20 minutes. Follow the process four times a week. Biotin is a name of a vitamin which promotes nail growth, also called as vitamin H. It improves the infrastructure of keratin in your nails. Slow growth of nails and breaking of nails due to weakness and brittle nails are often due to the deficiency of biotin. Stinging nettle remedy is very old and successful. This herb is also essential for the growth of your nails due to the presence of rich contents of silica and other beneficial nutrients. It strengthens the weak and brittle nails. Take 3 tsp of dried stinging nettle leaves and add them in a cup of hot water. Cover the lid and steep for 10 minutes. Strain the solution then add some honey. Drink this herbal tea daily. Flaxseed oil also boosts the nail growth because it has omega-3 fatty acids. Other useful micronutrients such as B vitamins, magnesium, potassium, lecithin, zinc and proteins are also present that tend to the development of nails. Rub some flaxseed oil on your nails and massage gently for few minutes. Wear gloves to retain moisture. Do this remedy two times daily. Tomatoes contain rich amount of biotin content that is essential for nail growth and make it thick, strong and shiny. Tomatoes have vitamins A and C essential for healthy nails and skin. Take ½ cup of tomato juice and mix it with 2 tbsp of olive oil. Do this remedy until you get the satisfactory results. Nails are made up of the structure of proteins called keratin, adding more and more keratin in your diet will surely help in treating the nail growth. Lack of protein will cause white spots on your nails. Add lean poultry, fish, beef and pork in your daily diet as to take protein content from them. Legumes, nuts, seeds, green vegetables, spinach also contain protein. Drink protein shakes or you can also add protein powder to a glass of milk. Before taking any protein supplement, consult your doctor. Avoid excess application of nail paints on your nails because it has some harsh chemicals such as formaldehyde, toluene or sulfonamide, including cleaning products. While working with hands, wear gloves to protect your nails from any damage. Keep your nails and cuticle clean and dry to avoid any fungal infection. Avoid nail biting and scratching because in this way they become weak. Eat healthy diet to make your nails strong. Increase the intake of green tea as it will improve the quality of your nails. Trim and cut your nails on the regular basis. Apply petroleum jelly daily on your nails and hands before going to bed. Expose your nails to the sunlight at early morning so that vitamin D can reach into your nails. Take multi-vitamins supplements for faster nail growth.